Raba’i al-Madhoun: Returning To Khan Yunis. 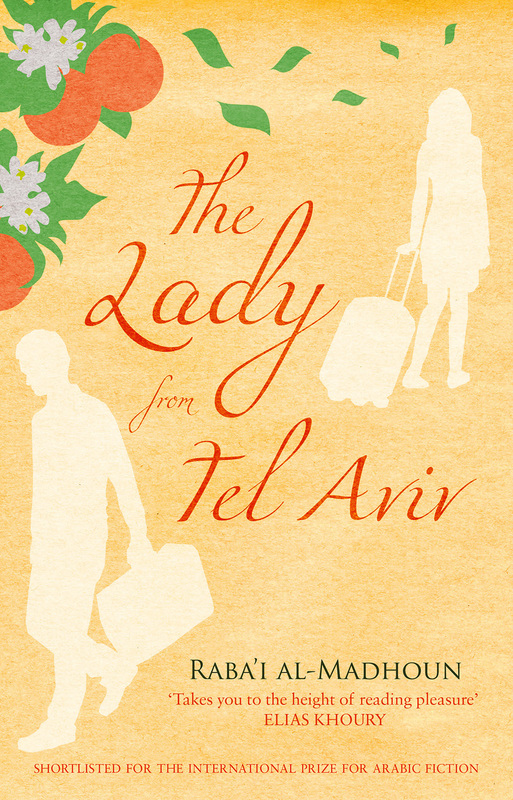 The following is an excerpt from Raba’i al-Madhoun’s novel The Lady From Tel Aviv, published by Telegram Books. “I spent my morning wandering around town, trying to get a feel for what it has become. The Khan Yunis I knew no longer exists. I had searched out the khanyunisian essence of the place everywhere, but never found it, for the remnants of the old place were buried beneath the surfaces of the contemporary city. As I walked around the main streets, I often felt like I knew it, even though there was nothing tangible that would lead me to believe this. There was no trace of the streetlamp in whose glow I used to bask all night. The shop where I bought cigarettes is now gone, along with the café where I used to play cards with friends. Even the dirt courtyard where I used to walk barefoot is gone. Beneath the surface of the place, other buried impressions take form here and there. It is like looking at a black and white photograph whose details are blurred by the passing of years. On trembling legs, I stop and stare at the strange patch of exile where my home once stood. There are no traces left, of it or of my childhood. Not even of the shadow I used to chase and chase and sometimes even catch. My shadow and I were careful never to let each other stray too far, and so our game never ended, and our friendship was never broken. I have left no footprint here to find. The cement beneath my feet chokes whatever memory lies below, just as it does the air I once exhaled here so long ago—breath whose traces still seek to find me once more. I wander through streets that swallow people who crowd into cars and donkey-drawn carts. The streets swallow the jeeps of the militias and the armoured cars stuffed with men who watch the pedestrians through small holes in black hoods. I feel truly alone here—of no significance to anyone, nor is there anyone here who means anything to me. I come upon the spot where Café Mansour once stood. The biggest of all the city’s coffee shops, and the nicest one on the city’s main square. I find only small commercial shops teeming with shoppers. I can see my father, sitting right there on a bamboo chair next to his table. There is his cup of hot tea, sprigs of mint sticking out. There is the steam rising into the air with its sweet minty smell. I can hear the men nearby as they slap down dominoes on the marble tabletops around me. I love the way that tapping and clacking rings in my ears. Somewhere here, forty-five years ago, my father sat and was suddenly struck down. Just as the years have changed me, so too am I transformed by the sudden recollection of my father and his death. I decide to visit his grave. I have always hated visiting cemeteries, but now I am struck by the urge to do it. When I lived here, I visited my father’s grave only twice, once to inspect the gravestone, and once again—just before my departure—because my mother told me to. When I get to the graveyard, I find that there is no longer any gate to speak of. I continue along toward my father’s grave. The only things I find are piles of rocks and the fragments of headstones. I turn them upside down searching for my father’s name, but find nothing. Not even a letter that might belong in his name. A bitter despair washes over me as I stand there. I think about how my father’s spirit haunts this place—and it feels like I am the one responsible for losing my father’s remains. I turn and spy the desiccated stump of a tree—maybe that was the acacia that stood over my father’s grave for all those years. The tree in whose branches fluttered those rose-embroidered silk handkerchiefs that proclaimed the undying love of someone for someone else. Those have all disappeared into nothing, never divulging who was speaking to whom. The stump rekindles an old question in my mind. Who was it that hung the handkerchiefs in the branches? I continued walking to the old seed market and found the place exactly how it used to be. The joy I feel at this discovery more than makes up for the grief I experienced at the graveyard. When I wander over to the Ironsmiths’ Market nearby, I am even happier. The Ottoman-era shops still have the same age-old appearance, even if they are all shuttered and covered with rust-eaten locks. Only now do I begin to believe I am truly back in Khan Yunis. A bunch of kids crowds round the door, shouting and yelling—and so we join them, pushing and trying to rush through. But the door is blocked by two bouncers with bodies like bulldozers. Gradually, we give way and retreat—until we end up back down the stairs and out on the public pavement. After about thirty minutes, everyone who has bought a ticket is already inside. The bouncer smiles. ‘ You kids are too young. And you’re twerps to boot. But I’m going to let you in anyway. One by one, so nobody notices. Don’t let the manager see you, he’s standing inside.’ He points to a man whose watermelon body sits near the entrance. ‘Get ready. After the trailers finish, I’ll let you in.’ The man opens the door, and we sneak in one by one just as he told us to. We are lucky—for some reason the manager has left. Maybe the ticket receipts of the paying customers were more than enough to make him happy. We go over to the side, sticking close to one another, against the wall. Nawal is shaking her arse and twisting this way and bending over that way, like she was teasing all of us—this room full of men who were not only powerless to resist the allure of her body, but had even purchased tickets to feel that sense of powerlessness. And then, as Nawal shimmies around, there is Farid El-Atrache, crooning away. And I didn’t go looking for him. And as the long-simmering desire of the men in the audience begins to fizzle out, they begin to chirp and call, moan and clap, and finally they are whistling their appreciation. These are men who have never before seen live flesh on stage, and may never see it in their dreams either, even if their wives sleep right next to them in bed each night. So Fawzi starts up again, only this time without insulting Abdel Halim. Then an older kid, standing right next to Fawzi, starts up, kicking Fawzi hard until finally he shuts up. A tall boy climbs up on stage at one point and begins to dance and shake his body around. When he throws his arms over Nawal’s body, the whole place erupts in loud protest—that is how badly they want to do the very thing he is doing. The three of us go crazy too, it is the first time in our lives we have ever seen bare legs. That night, I cannot sleep. I am walking through a forest of bare legs. I am pretty sure that Said and Fawzi also spent their night walking through the same fleshy landscape. I suspect that, like me, neither of them slept until their underwear was drenched. → Centenary of the Armenian Genocide: Denying Genocide Means Continuing Genocide. ← Five For Friday: Iraq War Documentaries.